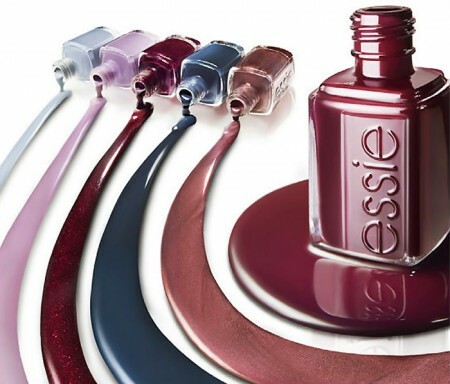 Essie fans will not be disappointed by the Autumn/Fall collection due to hit the shelves this coming October with six new warm and cosy shades to see you through Autumn and even Winter with ease. Also if you missed out on Essie's Leading Lady last year then Toggle to the Top looks rather familiar and may be worth a purchase. Admittedly I do find the addition of the lilac and frosty blue (more winter wonderland than Autumn if you ask me) an odd addition but on the whole a great selection of shades that will suit most. Keep an eye out for these appearing in Boots in as little as five weeks! Oh the warm & toasty turtleneck is definitely a colour I will be purchasing! Yay I'm such a fan of Essie and these look great!! Exciting! Toggle to the Top and Sable Collar look gorgeous! I love autumn nail shades. Toggle to the Top and Parka Perfect might just find their way to my nail varnish collection, beautiful autumn shades. Parka Perfect and Sable Collar look my type of fall colours! Toggle to the top looks interesting! Love toggle on the top! Will most defiantly be buying it! These colours look gorgeous, definitely tempted to get at least one when they hit the shelves! All lovely colors, I'd like to try! ooh I love the look of shearling darling and toggle to the top! I love the red/maroon colours, especially 'Sable Collar'. I might have to treat myself to one or two varnishes.. or six..
Parka Perfect looks lovely! I never like the cost of Essie but they do persuade me with colours and staying power. Darn them! These colours are just stunning! !